If there were more no-fault marriages, there would be fewer no-fault divorces. The above quote about no-fault marriages is one of our favorites, and not just because it’s our own. In our experience, blaming is one of the most toxic dynamics that can infect a relationship. It almost always creates defensiveness and distance. Blame is a thief, robbing us of our closeness, which deserves our protection. We’re not referring to situations that involve abusive or otherwise harmful behavior, which are clearly blameworthy and deserve serious attention beyond the scope of these pages. Actions that create relationship wounds are also in a different category, for which we have earlier suggested resources by Dr. Sue Johnson. Our focus here is on the little slips and slights and thoughtless omissions and commissions that could create inconvenience or irritation and sometimes cause hurt feelings. Each of them provides an opportunity to choose how we respond to each other. It is surprisingly easy to come out with a comment containing some element of fault, unless we are conscious of wanting to scrub the blame from the statement. We have agreed that blamescrubbing is a priority, and over time, we’ve made good progress. When blame somehow slithers through a crack, we catch it and apologize. Our goal is to replace blame with empathy and understanding. The other person may already feel bad about their action and would most like to feel our love at that time. In one of our trainings we included an exercise in creating an “I-message” that was truly blame-free. You may have seen an example of an “I-message” before. Instead of creating a blaming statement beginning with something “you” did, the preferred alternative is to take responsibility for your own feelings by beginning with “I feel/felt ________ when you __________, because __________.” There are other variations of the formula, but in addition to a focus on the speaker’s feelings, they often include the other person’s behavior. We believe those models could still use more blamescrubbing. What follows the speaker’s feeling is a statement that focuses on “your behavior” and still has the potential to create defensiveness. It can therefore distract the listener’s attention from the speaker’s feelings, which is the most important part of the message. Cheryl: So instead of my telling Bob, “You’re driving too close to that truck,” the formula would have me say, “I feel anxious when you drive so close to that truck, because if it stopped suddenly we could hit it.” Bob hears my feeling first but also hears that he’s doing something to cause it. An improved version would be “I feel anxious when we’re this close to that truck, because . . .” Taking the word “you” out of the message improves it but still leaves it open for Bob to feel some blame. Bob: Meanwhile, I’m thinking that my distance from the truck is completely safe. Cheryl: Of course. So the ideal focus of my message is on my feelings, rather than on his actions, to create empathy rather than defensiveness. In the real-life version, I did something else to help achieve a truly blame-free message. I took full responsibility for my feelings by reminding Bob of accidents I’ve had which have made me extra sensitive to these circumstances. I also took blame away from him by saying I know he’s a good driver and pointed out that I’ve had more accidents than he has. Bob: At this point, I had a choice. I could dismiss Cheryl’s anxiety as being unrealistically oversensitive and reassure her that everything is under control. Or I could acknowledge and respect her sensitivity, and decide that her comfort level is more important than the potential ego sting of being told how to drive. We assume you all know how that turned out. Cheryl: We switched drivers at the next stop. Just kidding! Cheryl: We’ve discovered that if we make the effort to come up with it, there is usually something extra we can say or do to scrub the blame from our messages – even if it’s as simple as “no blame intended.” I’ve had much to learn about this, and it’s still difficult for me at times. The key is to remember to make the effort. I’D LIKE IT IF . . .
Another way we can scrub blame from our messages is to convert criticism to requests. It’s a very simple four-word formula – one that we learned from several sources. “I’d like it if . . .” Almost any criticism can be converted in that way. It helps to keep in mind the “I-message” principles at the same time, so the request isn’t followed by some blame. The beauty of this simple conversion is that it appeals to our best intentions, in that we usually aim to please each other whenever possible. If there is something we could do that would please each other, our inclination would normally be to do it — even if it is something that we’re not wild about doing. Each other’s feelings are that important to us. That doesn’t mean that the request is always granted. What it does mean is that the conversation that follows the request starts on a much more positive note than if the request had been stated as a criticism. The request is more likely to be granted the more we avoid creating defensiveness. “I’d like it if we could spend some fun time together tonight” sounds so much better than “You come home and spend most of the evening on the computer.” It also has the virtue of being a somewhat specific request. It leaves open what kind of fun is intended, which allows for some give and receive about the final decision. If the requestor’s main goal is to spend time together, maybe the choice of activity could be given to their partner. “I’d like it if you would make it a point to floss every day. 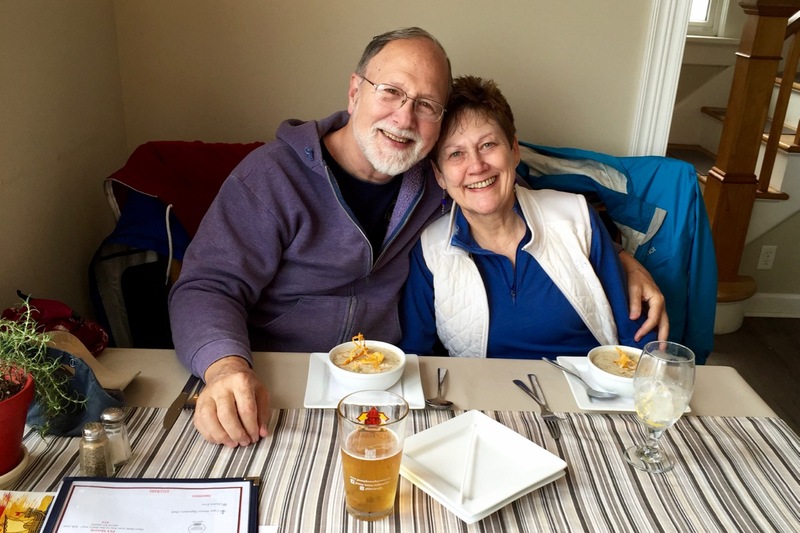 I’m reading more about the connection between gum disease and heart disease.” Even though it is not one of his favorite activities, Bob recognized the wisdom in Cheryl’s request and has responded to her concern by making it more of a priority. A blaming criticism could well have produced a different result. As you can see, there are some specific communication techniques we can learn to help us scrub the blame from our messages. Used consistently over time, they can become skills. We think it’s like learning to play the piano or another musical instrument. The more we practice, the better we get. Ideally, our goal is to be in touch with our partner’s heart at the moment we are bringing up a potentially blameful topic. Our tone is especially important, because it will often be heard more clearly than our words. Tuning our tone requires us to be in touch with our own heart as well as our partner’s. We want to bring forth our love and our empathy, along with our desired outcome. Gently tuning our tone is a learned skill, and it can be refined with practice. Along the way it becomes an art. We like to think of it as learning “the art of gentle assertion.” It’s an important art, and a key part of asking for what we want in a way that is most likely to be well received, and also, therefore, most likely to be successful. Relationship expert Dr. John Gottman makes a similar point when he recommends using a “softened startup” when you are bringing up a subject that is likely to produce conflict. His research shows that such a conversation is likely to end on the same note it begins on, so a blameful startup has a poor chance of producing positive results. Experts that we greatly respect have expressed their belief that learning communication skills is not a sufficient solution to solving relationship problems, and we agree. We also know that such skills can be quickly forgotten in the heat of an argument. At the same time, we dearly value what we have learned through the Better Marriages dialogue process, especially using the reflective/empathic format, introduced to the St. Louis chapter by Bob and Bess Mosby. A focus on reflecting each other’s feelings not only encourages a more open sharing of feelings but also causes us to listen more carefully to each other in order to accurately confirm that we heard and understood what was said. We also believe there is tremendous value in learning to make blame-free statements to each other, as we have discussed above. It takes practice to learn it well, but the rewards include a growing trust that blaming statements won’t intrude on our closeness. Something that has strained our closeness at times is the way we express or don’t express our anger toward each other. We’re grateful to have learned from others some better ways of dealing with anger between us. Managing anger well can ultimately increase closeness rather than create distance. Their agreement to tame the anger between them enabled them to cope constructively with their anger, which David said freed them from any fear that anger would do them harm. As a result, they were able to take down their defenses and make themselves vulnerable to each other without fear. Many people used to think that venting anger is a healthy way to release emotion, and we each remember reading or hearing similar advice in the past. However, the experts we have read more recently advise that venting at a loved one does more harm than good. Rather than act as a release, it often increases the speaker’s anger level and also leads to significant hurt feelings. Bob: As I mentioned earlier, I know from experience that men are not immune from getting our feelings hurt in a fight with a partner, although we don’t always admit it. Therapist and author Daphne Rose Kingma has written about hearing many men describe how emotionally shredded they feel after such a fight: “I feel like I’ve died and been chopped up in a million pieces. Days, weeks later I’m still picking emotional shrapnel from the wound.” I’ve never felt quite that bad, but I can identify with the feeling. Us: Cooling the emotions for a brief time can allow us to have a calmer conversation during a conflict, and a “time out” is often a recommended way to keep from escalating a conflict. The caution is that it can’t be one-sided, like when Bob used to leave the room rather than listen to Cheryl’s raised voice because Bob was feeling hurt. It’s important that both partners agree on the terms of a time out, so that one person isn’t feeling abandoned in the middle of an argument, like Cheryl was at the time. The duration of the time out is a key thing to agree on, along with a commitment to come back to the conversation at a certain time, preferably very soon. A quote that we have often cited in our workshops on anger is this one from Thomas Jefferson: “When angry, count to ten before you speak. When very angry, one hundred.” Such a count can provide an opportunity to get in touch with other feelings besides the anger. David and Vera Mace believed that anger is a secondary emotion, and that it was always helpful to address the underlying primary emotion. We have found the same to be true, and we consider the search for the primary emotion to be the best anger tamer there is. By looking for feelings like hurt or fear and expressing those more vulnerable feelings (gently), we’re more likely to shift our partner away from a defensive mode and create empathy. There’s a situation we’ve experienced more than once that has caused each of us some irritation at the time. When we talked it through, we discovered there was both hurt and fear underlying our anger. Cheryl: The problem occurred when it looked like we were going to be leaving the house at the last minute to go somewhere and we were going to be late if we didn’t hurry. I don’t like to hurry in the car, especially on the curvy, two-lane highway leading to the Interstate. I also don’t like the stress and anxiety of feeling like we might be late for an appointment. At a moment like that, Bob’s concerns have at times taken a back seat to my focus on getting us out the door. Bob: I was only aware of Cheryl’s feelings of impatience and irritation at the time. I recall having a question about something needing to be decided before we left, and it felt like Cheryl had tuned me out. I reminded myself that I’m usually the last to get ready to leave, and that her irritation was probably justified. But still, it hurt to be tuned out as if my concerns weren’t important. Coupled with the impatience and irritation, it felt at the time like my feelings didn’t matter. Cheryl: I never want Bob to feel that his feelings don’t matter to me, so when he told me about this, I realized we need to be careful about the particular circumstance of hurrying to leave. Best of all, we should avoid it, but if it occurs, we need to be aware of and gentle with each other’s feelings. Bob: And I don’t want Cheryl to fear that we’ll be hurrying in the car. Although I keep it legal, that’s still faster than she likes to drive on our rural highway. And I always slow down if she asks. I also don’t want her having the stressful experience of feeling like we’re going to be late for an appointment. Realizing that she has these fears at those times helps me respond more empathically to her, and ideally avoid the circumstance entirely. We didn’t discuss our feelings about our “hurried leaving” situation until it had occurred a few times, and we caused ourselves some unnecessary heartburn by not talking about it sooner. Once again, Love and Anger in Marriage provides helpful advice from David Mace. He and Vera believed in “acting on the pinch.” By that he meant that mild annoyances and minor irritations should not be buried, because they are likely to cause distance between partners. Mace’s prescription was that all pinches should be shared within 24 hours, “so there can be no buried resentment, festering and poisoning the relationship.” They should be shared not “harshly or critically, but gently, with an honest desire to understand.” He believed that doing so would bring partners closer together. In our experience, David was right. Don’t hesitate to say, “I felt a pinch.” Schedule a quiet time to talk it through. If you make it a habit to “act on the pinch,” we believe you’ll be glad you did. You’ll find an “Act on the Pinch” exercise at the end of this chapter. The first of the Maces’ three steps for responding to anger was to communicate it as soon as possible to each other, considering it a healthy emotion that was trying to tell them something useful. The second of their three steps was the “no spitting” contract that we mentioned above. The third was that the angry partner would ask the other for help, and they would share responsibility for the anger situation. Then they would work it through together. Because David and Vera considered anger to be a secondary emotion, part of working it through together would include a discussion about the underlying emotions involved, which are often hurt or fear. They adopted a policy that every anger situation between them was an opportunity for growth in their relationship. It was an opportunity for a deeper understanding of themselves and each other. We’re grateful for the inspiring example the Maces set about managing their anger, and we continue to learn from their experience. As idealistic as it sounds, every conflict situation is also a positive opportunity to enhance our closeness. We’ll go into the many ways conflict is an opportunity in Step 3: Resolving Conflict Tenderly. While we’re still on the topic of gentling our communication and eliminating blame, we’d like to cover one more element. How gentle are we with ourselves? Does self-blame influence our ability to ask for what we want? ASKING FOR WHAT WE WANT: DO WE DESERVE IT? It sometimes occurs that we hesitate to ask for something we’d like from each other. We may be afraid it would create a conflict, which is a topic we’ll address in Step 3: Resolving Conflict Tenderly. Or we may merely not want to inconvenience each other, even though our partner may be very willing to do us a favor. This brings us to the question of how deserving we feel. It’s an issue that can go all the way back to childhood or be as recent as how well we feel we’re pulling our weight in our relationship. Cheryl: Elizabeth Gilbert, the author best known for “Eat, Pray, Love,” wrote that her mother didn’t feel entitled to ask for more closeness in her relationship with her husband. Elizabeth continued that she, on the other hand, couldn’t live without closeness in an intimate relationship. I can identify with both feelings, but more so with Elizabeth’s. Having tasted the tender delicacy of closeness with Bob, I can’t imagine living without it. Knowing we have the ability to create and enhance our closeness is one of life’s most precious gifts. Bob: Early in our relationship, when Cheryl’s request caused us to set aside more time to spend alone together, we could see how important it was in preserving and enhancing our closeness. We have always viewed Cheryl’s request as a major relationship event that helped us set our priorities to put “us” first. Cheryl: Before Bob and I were together, I had learned several things in therapy that were empowering in this regard. I can’t count on someone to read my mind, so if I don’t ask for what I want, that person may not even know what it is. Also, I would never know if they would be willing unless I ask. In this case, Bob happily agreed, and we celebrated (and continue to celebrate) our shared desire for more closeness. Us: Before we ask you to join us in Step 3: Resolving Conflict Tenderly, we have an exercise and a poem for you.